Happy New Year! Like every year, 2017 was a year of ups and downs in the wine world. Here's my personal take on the winners and losers, many of which serve as cautionary notes of what to avoid, as well as where exploration is likely to be rewarded. Let's get the bad news out of the way first. As Eric Asimov of the New York Times aptly put it, "Few things have been as damaging to the American wine industry as its homogenization." And it's not homogenization in the direction of uniform quality. Case in point is Belle Glos' 2016 Clark & Telephone bottling, a chocolate cola masquerading as pinot noir (and last seen at the grocery store with a price tag of $63!) Unrecognizable as wine, let alone pinot noir that came from a plant, it is emblematic of the abandonment of character in California wine. This trend of uniformity has been growing the last couple of years, but appears to really be accelerating now. There are still some winemakers out there making unique wines that reflect place and personality, but they are fewer and further between than ever, making experimentation a more expensive hit and (mostly) miss endeavor. Such a shame and a primary reason why I drink so little domestic wine anymore. Still languishing in the long hangover from the Yellow Tail malaise (the effect of the ubiquity of that brand on the general public's perception that all Australian wines should cost eight dollars or less), Australian wine continues to suffer through an identify crisis. The quality of their everyday wines isn't helping matters, either. Recent exploration with half a glass of the 2015 Torbreck Woodcutter's Shiraz ($17) proved to be half a glass too much - simply undrinkable and the first wine I've dumped in a long time. I described the same wine from the 2007 vintage as "Massive, dense, and exciting. While not quite complex, it is faithfully Syrah and made to be heady." This country has so much potential that has been realized in years past, but appears to have taken a very wrong turn. Wholesalers are flexing their muscles through their lobbying associations and cracking down on interstate wine shipments. Several states have already issued cease-and-desists to major wine e-commerce retailers and are instituting carrier reporting to track wine, beer and spirits shipments from out of state. Beginning this year UPS and FedEx will be required to report shipments from wineries and retailers. Just think about that for a second. Privacy rights? The Constitution's Commerce Clause? Enforcement? You can bet this will fuel a new wave of lawsuits, but it will take a while for those to materialize and work their way through the system. In the meantime, expect to feel the effects of this as initiatives go into effect in many states. Still think climate change isn't real? Then you haven't talked to a farmer - or looked at alcohol levels in wine lately. Here's the skinny: Grapes need two kinds of ripeness to be ready for picking: sugar ripeness, measured by brix, and phenolic ripeness, which is a function of acid, pH levels, color, and other factors. In an ideal world (i.e. climates suited for viticulture), grapes achieve both ripeness types at the same time. But when your growing season is hotter than usual and without important pronounced diurnal temperature swings, sugar ripeness happens before phenolic ripeness. You can't make (good) wine without solid representation on both sides, so while growers are waiting for phenols to develop, brix increase. The more sugar you have, the higher the alcohol content. There's a six pack of California samples waiting for my attention all of which are north of 15.5% and a few of which are 16%+. After you get north of 14.5% ABV (and sometimes even less), there's no escaping the scorching effects of the booze. With that behind us, let's look at what there is to celebrate and look forward to in wine! No, that's not the name of a politically incorrect Cape Town punk band, but it is a category I'm pretty excited about these days. Reasonably priced and full of exciting flavors, if there seems to be a consistent theme that keeps me coming back, it's texture. Whether it's the Babylon's Peak chenin blanc, or either of the sauvignon blancs from Bayten and Te Mata, the supple feel of these wines is as entrancing as their sophisticated laying of flavors. Huge bang for buck here and low risk for those with an appetite for experimentation. There's been a lot of hype over the last couple of years for the 2014 and 2015 vintages - and, for once, it's well-deserved, though, interestingly, some of the best French wine I've had this year is from 2013. Regardless, I have yet to hit on a dud from Cote du Rhone, Roussilon, or Languedoc in a while. What's more is that a boatload of drinking pleasure - even wines with serious guts - can be had easily in the under $15 range! Faves to keep an eye out for: Cabirau, Boisset, and Ferraton to name a few. 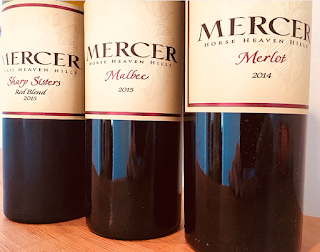 While shopping for California reds is riskier than ever, its rival to the (way) north continues to produce powerful and refined cabs, merlots, and syrahs at (mostly) reasonable prices. Sure, you can get really high end wines from producers like Cayuse, Andrew Will, and others, but there are a number of wineries pumping out elegant, potent knife-and-fork reds that drink at triple their price. 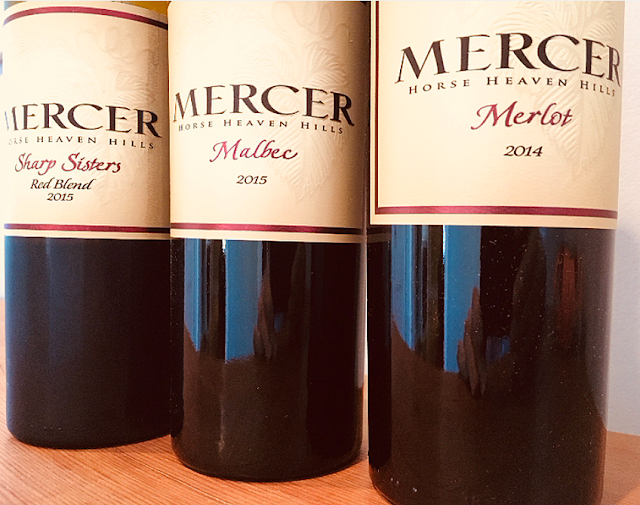 Look for 2014 Wines of Substance Cabernet Columbia Valley at $17, almost anything by Mercer, but the 2014 Mercer Canyons Cabernet Horse Heaven Hills is an amazing, age worthy steal at $15. Sure, Brunellos get all the press, but they are out of reach for most of us. Thankfully, there's plenty of ordinary rosso juice from the area. So, how is Rosso di Montalcino like Brunello? Same grape variety, same region, less barrel time, and (a lot) less money. I've been lucky enough to hit on a string of incredibly pure, honest rossos this year including ones from Domus Vitae and Valerio. Ranging in price from $15-$25, these are a little pricier than my definition of value wines, but still represent a good buy and a great experience. Food is a must, though, for these wines to truly come alive. Consolidation in the wholesale tier continues and with that comes portfolio clean outs. Smaller producers and importers have a harder time competing to have their voices heard (and products represented) in a marketplace increasingly dominated by huge powerhouse wine companies. While this does not bode well for consumers in the long term, wines made by the little guys who are getting squeezed out of markets often end up in the close out bin at significant (30-50%) discount. It's also the last we might see of those wines, so when your local retailer showcases a closeout wine, give it a try - I've found some real gems/steals by taking a flyer on these wines. Very useful post ;) Great! For me the Australian Wines are the best! Totally..
Detoxify your hangover with drinkwel hangover vitamins. It is absolutely amazing and works like magic. Though I am accustomed in using detoxicated.